He fled this country during moi's tenure and at then, Kenya was under old constitution which had provisions that if one obtains citizenship of another country ,he or she will lose the Kenyan citizenship by birth . The new constitution has provisions to correct the same . If you lose your citizenship by birth ,the current constitution enables you to regain your citizenship but on condition that it must be done via a re application. 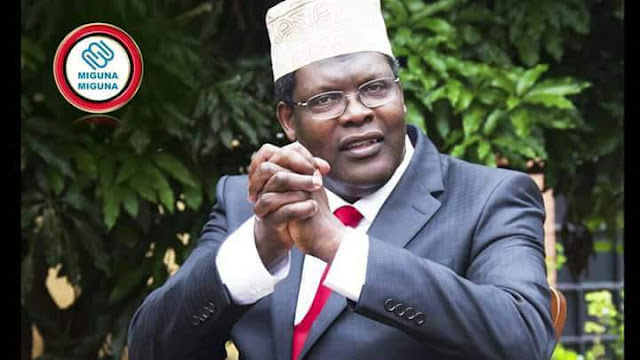 Miguna Miguna came back 2008 after formation of a grand coalition government and acted as advisor to then prime minister hon Raila Odinga. He made assumption that since he was born here , his citizenship by birth is still intact. He was supposed to reapply for it. That omission together with treason charges gave a perfect opportunity to the Kenyan government to deport him back to Canada.